Find Everything Minecraft at Best Buy! Do any of you have a little Minecraft fanatic? This has been one of those games that just stick with the kiddos, two years in and they still love it! As Minecraft evolves, Best Buy has kept up with it all and has so many different Minecraft game options and collectibles. Once my kids started playing the game, they immediately were asking for all the other goodies to play “real life” minecraft. All the little toys, etc. 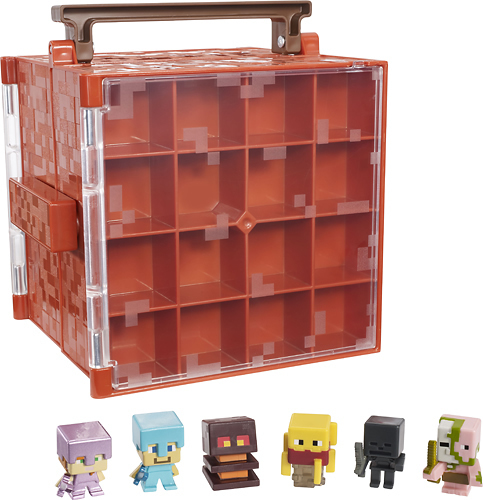 The kids can build and explore exciting new worlds with Best Buy’s assortment of Minecraft games and collectibles. Unlike many other video games, one of the things that I love about this one is the kids are building, they have to use their skills to create worlds and go on adventures. They can build little homes or HUGE castles, or they can explore randomly generated worlds too! Minecraft has so many options too, their new Story mode game has been a whole NEW world for the kids to explore too. Anything and everything you need Minecraft wise, can be found at Best Buy. 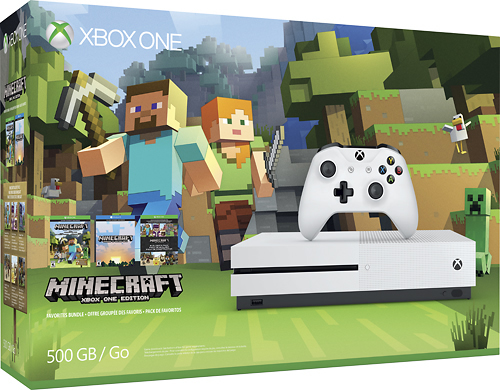 The new Xbox One S console bundle, Minecraft Story Mode, toys, collectibles, the original Minecraft game, you name it. Head over to Best Buy and check it out!